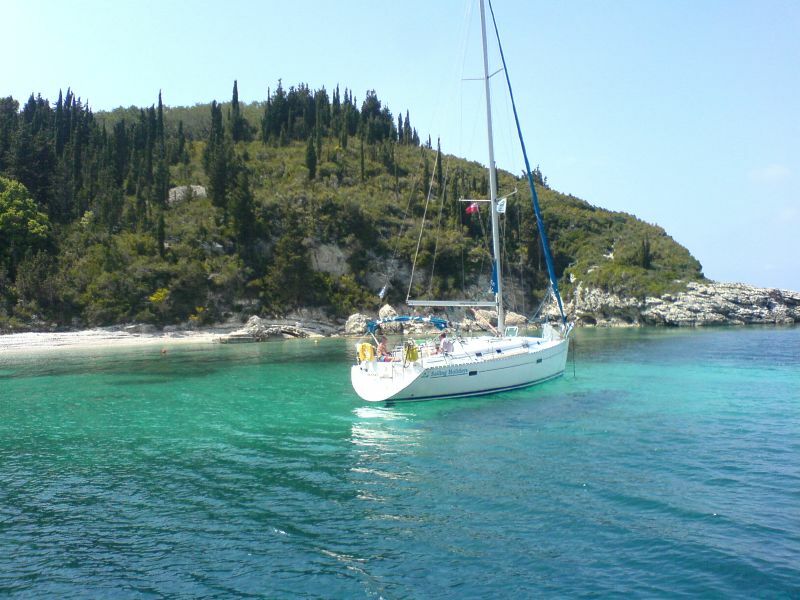 Find the secluded beaches of Skiathos by boat. The picturesque beauty of Skiathos has long been popular with the yachting fraternity whose boats fill the marina at Skiathos Town in the summer months. Yachting, cruising, sailing or boating around the coastline of Skiathos is a fabulous way to explore the many coves, beaches and bays that are otherwise inaccessible from land. Of course, not everyone has the luxury of owning their own yacht and so there are several companies specialising in sailing holidays in Greece, many of which offer yacht charter in Skiathos. It is therefore possible to hire boats of all sizes and to suit all budgets, both motor boats and sailing boats. Small motorised boats can be hired on a daily basis from the various resorts along the south coast of the island, whilst larger craft can be pre-booked for the duration of your stay. Experienced sailors can charter yachts from specialist companies allowing you the freedom to go anywhere you please. Most of these companies will provide basic instruction on how to handle your boat. Skiathos Town is the main port on the island and is busy with ferries from Skopelos, Alonnisos and the Greek mainland. Essential Reading: For those who are seriously thinking of sailing around the Aegean sea and the waters around Skiathos, then Rod Heikell's book Greek Waters Pilot is essential reading. This hardcover book gives full details, charts and graphs of every cenceivable facet of sailing around Greece, including: harbours, marinas and moorings, water depths, currents, prevailing winds, chandlers, boat yards as well as local marina customs. If you are going to sail in this part of the world, then you need this book. There are no ports of entry on Skiathos. As such, international seafarers arriving in Greece must call in to a designated port of entry before landing in Skiathos. For a full list of Greek ports of entry, click here.